How Well Do You Know Your Roller Skating Facts? Every week we receive a number of skaters that come to hit the rink, here, at Skate Moore in Moore, OK. Some regulars and some newbies, but most everyone can agree that there aren’t many things better than roller skating. Many of you are very familiar with the rink and different styles of skate, but just how much do you actually know about roller skating? Test your knowledge, and check out some of these fun facts below! Roller skating is equivalent to jogging in terms of health benefits, caloric consumption, reduction of body fat and leg strengthening. 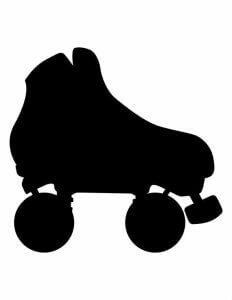 The inventor of roller-skates, John Joseph Merlin, debuted his invention at a masquerade in 1760. The first recorded marriage on roller skates took place in 1914 in Milwaukee. The longest chain of roller skaters consisted of 4,013 people in Warsaw, Poland.